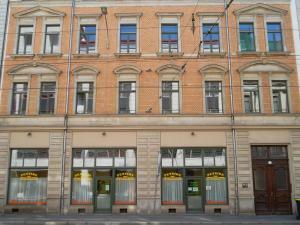 Just 400 metres from the Thomaskirche Church, this traditional-style guest house in Leipzig offers modern rooms with internet access and varied buffet breakfasts. Leipzig Zoo is 850 metres away. The Pension Zum Leipziger Zoo newly opened in March 2011. Its brightly decorated rooms and apartments feature a flat-screen TV, wooden floors, and a private bathroom. The rooms are spread over 4 floors. Each morning, guests can enjoy breakfast in the Zum Leipziger Zoo’s cosy lounge. Many cafés and shops can be found near Käthe-Kollwitz-Straße. The Gottschedstraße tram stop is only 10 metres away from the Leipziger Zoo Pension. Leipzig Central Station is 2 stops away. Drivers can park their car in the Pension’s inner courtyard on request. The A14 motorway is 9 km away.